In highly frequented washrooms long lasting products with a high standard of cleanliness and hygiene are a must. This is of particular importance in food processing, laboratories and healthcare applications. Franke has designed the new Planox seamless range of washtroughs that are perfect for maximising hygiene which offer a functional, easy-to-clean and user-friendly solution. 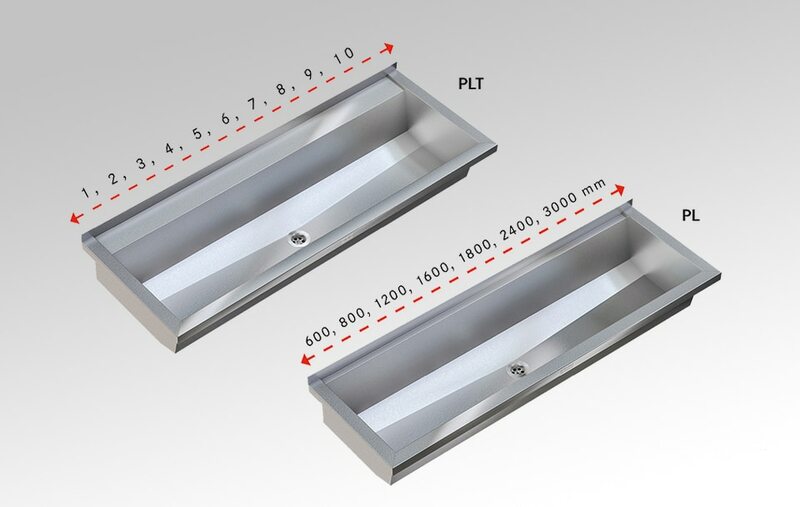 The range of Planox troughs are seamlessly welded using an innovative robotic laser, making them highly resistant to dirt and bacteria. The 1cm lowered tap ledge prevents water spilling onto the floor which saves time and money on maintenance costs and increases cleanliness throughout. Sanitary fixtures manufactured from stainless steel help to prevent vandalism and are easy to clean, helping building operators to keep service and maintenance costs to a minimum. Stainless steel is not only resistant to moisture and most acids, it also stands out due to its hardness, high tolerance of heat and cold and hygienic characteristics. This makes stainless steel the ideal choice for hospitals and food processing plants. Dirt and oil can easily be washed from the smooth, pore-free surface without the need for harsh cleaning products. Stainless steel has many other benefits including its durability and hardwearing properties. The UK range of Planox washtroughs are manufactured from 304 chrome-nickel steel which is highly corrosion and rust resistant. While stainless steel is not fully stain-proof, it is much more resistant to staining and corrosion than other alternatives. The standard Planox range includes products with various lengths ranging from 600mm to 3,000mm and with or without tap ledge. Bespoke options and custom lengths are also available, choose any length up to 3,000mm, number of tap holes and the position of tap holes. Incorporate a matching splashback, mounting frame or shroud to complete your customised design. Add coordinating accessories to showcase a modern finish to your whole washroom. Do you have a project coming up and are looking for a hygienic stainless steel solution? Get in touch or book an appointment with one of our Specification Sales Managers for advice and support. With the increasing desire to design green systems and ecological buildings, it is crucial to determine the applications which have the greatest water consumption when specifying water saving products for a project. Franke has designed a new range of taps which are cost effective and save water. Franke were thrilled to be to chosen to provide three ANMW431 triple Miranit Quadro basins for ONI Nano Imaging, a Biotechnology company based in Oxford. Franke was thrilled to be chosen to supply a range of bespoke stainless steel sinks for the redevelopment of the Doncaster Wool Market which will open in Spring. The project consisted of 12 of the bespoke basins and 24 of Franke’s mixer taps. In highly frequented washrooms style and long lasting products are a must. A high standard of cleanliness and hygiene are also crucial in all washroom environments, particularly in food processing, laboratories and healthcare applications. Hand washing has a vital part to play in trying to increase washroom cleanliness. Franke has designed a new seamless range of washtroughs that are perfect for maximising hygiene.